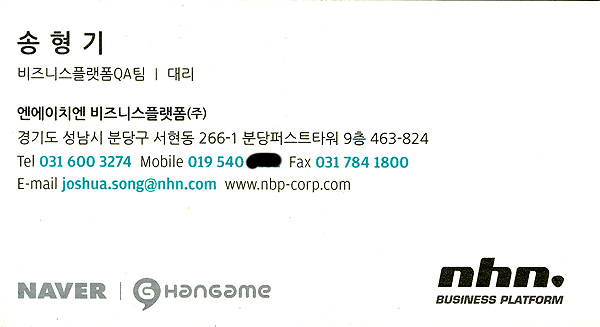 나의 새 명함 My new business card. 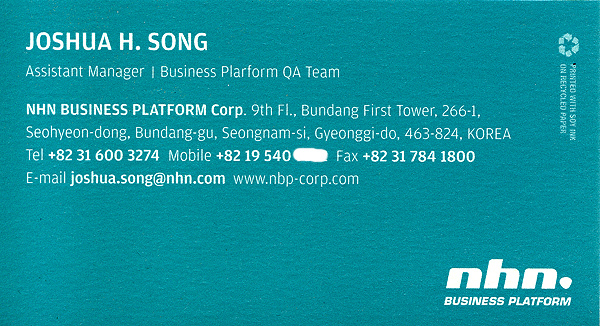 NHN에서 NHN Business Platform으로 회사가 이동되면서.. 명함도 바뀌었습니다. I am happy that I have new business card!